Students interested in study abroad can take pro-active steps to fully reap the benefits of the experience, despite concerns about global security in the wake of recent terrorist attacks. Study abroad offers many personal and practical benefits, according to IES Abroad. Alumni of such programs report starting salaries that are $7,000 a year higher than other graduates; have much greater success in finding a job within one year of graduation, and have a 90 percent acceptance rate into the first or second graduate school on their list. In addition, more than eight in 10 participants in study abroad programs say it helped them develop “valuable job skills, such as language proficiency, cultural training, tolerance for ambiguity, adaptability, and communication." The federal government has recently launched USA Study Abroad, a comprehensive site offering a range of practical information, as well as personal stories about participants in study abroad. Other resources include online travel guides, official tourism sites and study abroad services. Before packing your suitcase, find out everything you can about the practical details for your destination, including necessary visas and documentation, local laws and regulations, and medical services, USA Study Abroad recommends. You can register for the State Department's Smart Traveler Enrollment Program, which will alert you to any issues or travel warnings for countries you're visiting and provide assistance in the case of a lost passport. Bring along contact information for the U.S. embassy or consulate where you will be traveling. Help can be attained 24-hours a day, seven days a week. The likelihood of being pick-pocketed, contracting a rare disease, or even being abducted is not great, and can be mitigated by taking certain precautions. Keeping your purse in front of you and your wallet in a front pocket, for example, will help you keep better track of your valuables, and paying close attention to your surroundings in touristy areas will help thwart unwelcome advances. When taking public transit at night, be sure to stand in well-lit waiting areas near attendants, whenever possible. For taxis and ride-sharing services, such as Uber, only agree to a ride from a licensed company or a vehicle dispatched through an official application. 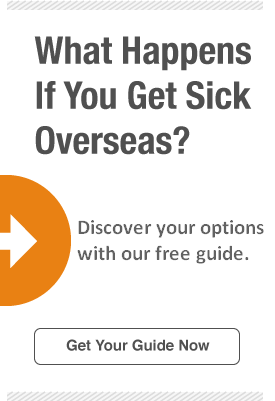 If you have to call a doctor in a foreign country or visit an emergency room, you may be asked for cash upfront before services can be provided. In a worst-case scenario, where you need to be evacuated, such bills can run as much as $100,000. To minimize these costs, consider coverage, such as HCC Medical Insurance's StudentSecure policy. Such products typically include medical insurance and medical evacuation coverage, and in many cases will cover sports injuries. Travel insurance is another tool to help mitigate unforeseen situations on a trip, however not all products are the same. HCCMIS' AtlasTravel covers medical evacuations, emergency reunions and trip interruption, while being one of the few policies to include a crisis response provision for kidnappings and ransom.